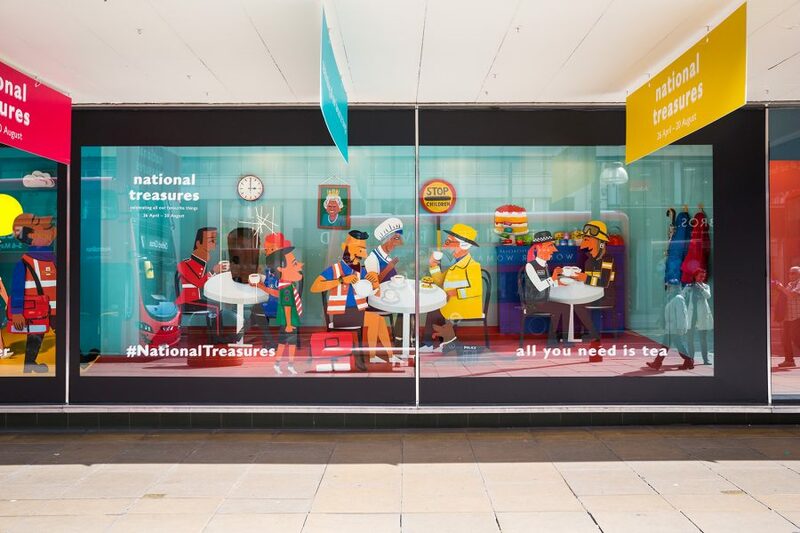 Paul Thurlby is this year’s Site Specific Professional Category winner for his illustrations commissioned by John Lewis for their ‘National Treasures’ themed window and store displays, capturing the theme of Britain’s national treasures, from ice creams by the seaside, to afternoon tea. 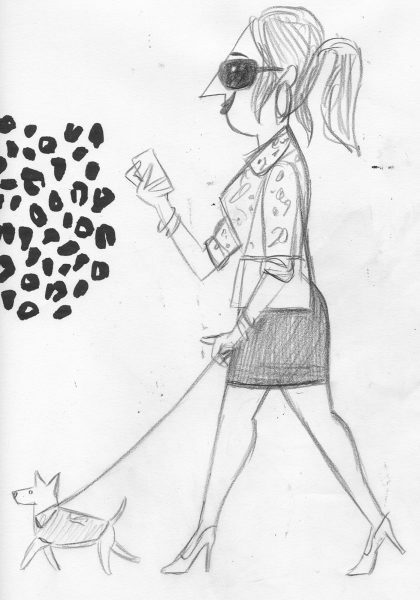 The illustrations began as hand drawn sketches and then worked on digitally. I had several meetings with the lovely John Lewis team about the content of this ambitious project. We talked about what is quintessentially British as well as what is amusing (and sometimes just plain daft). Pencil, pen, scanner and Photoshop. It was all about drawing as much and as quickly as possible instinctively, while trying to come up with ideas at the same time! There was no time for hesitation. I liken it to military fitness training in that you’re not allowed to stand still even for a moment. The idea for the project was still being formulated when I started the work. Given the limited time available to me, this was a huge obstacle. Sadly, one of the window illustrations that I had worked up into colour had to be changed completely late on. I remember not being ecstatic about that at the time! I found out just how much work you can do if you stay rooted to your desk and hardly go out for three weeks! I am also really thankful for having Handsome Frank as my illustration agent as I would not have been able to deal with all the contractual side of things at the same time. There was a constant stream of information and changes throughout. Not to mention that I really should have been working on my children’s book at the time! I used up 62 layout pads. I did put all the pages in the recycling afterwards though! Seeing the public reaction to the window displays made it all worthwhile. It shows how illustration can engage with people of all ages and backgrounds. 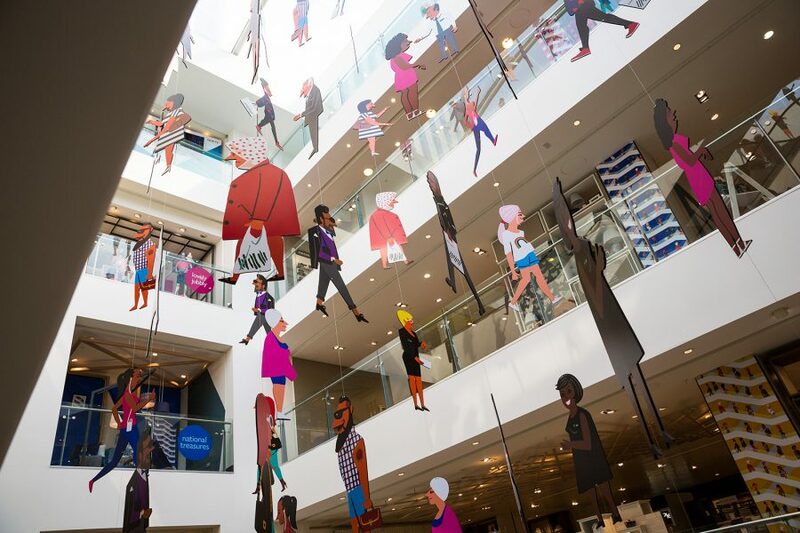 John Lewis were very brave and ambitious to move away from their traditions and commission an illustrator for this project. And, it was a very nice touch of theirs to champion the illustrator and not just use them as a commodity. Work hard, don’t give up, enjoy what you do and don’t let anybody tell you that your dreams are stupid. Originally from Nottingham and having lived for 9 years in London, Paul now enjoys distracting sea views from his Brighton flat. He was fortunate enough to have his personal project ‘Alphabet’ published as a children’s book by Templar in 2011. Paul’s work is graphic and colourful and he enjoys working with a wide variety of clients from Children’s Books and Editorial to Advertising and Design. His clients include: The National Gallery, Le Parisien Week-End, Transport for London, Hodder Children’s, The French Tourist Board, The Guardian, Le Chocolat des Francais, The New Yorker, Pimm’s, Sarson’s, Southbank Centre, Vanity Fair and Carluccio’s. See the work of all the shortlisted and winning projects for the World Illustration Awards 2018 here.